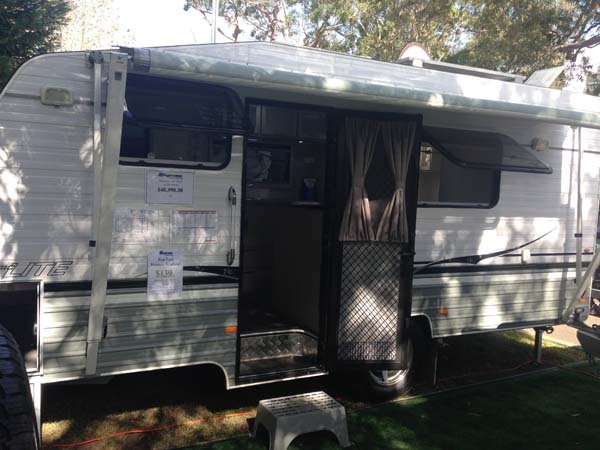 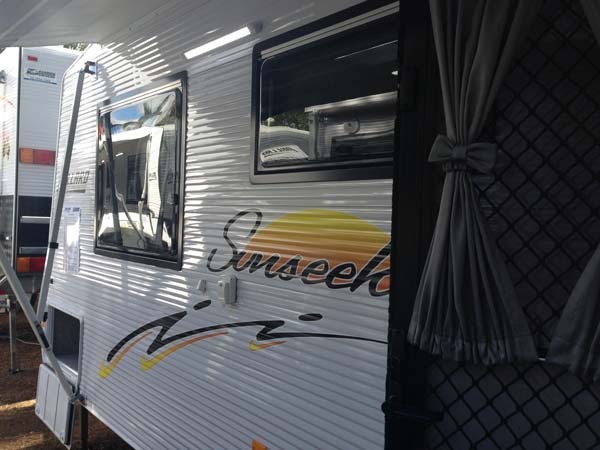 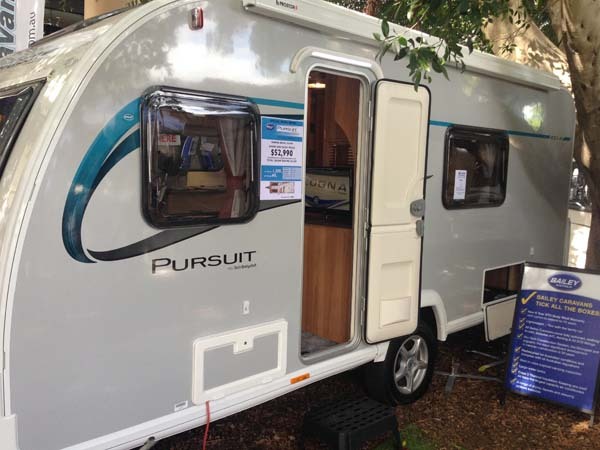 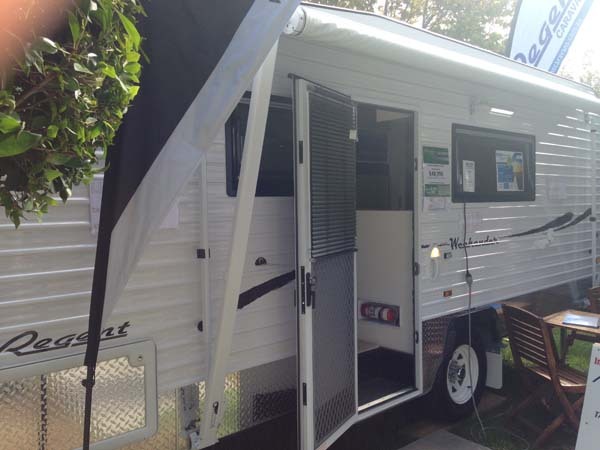 It’s no secret that the Australian caravan market is packed to the gills in the popular $50,000-$65,000 price category, and you can always find what you want at the top end of the market as well. 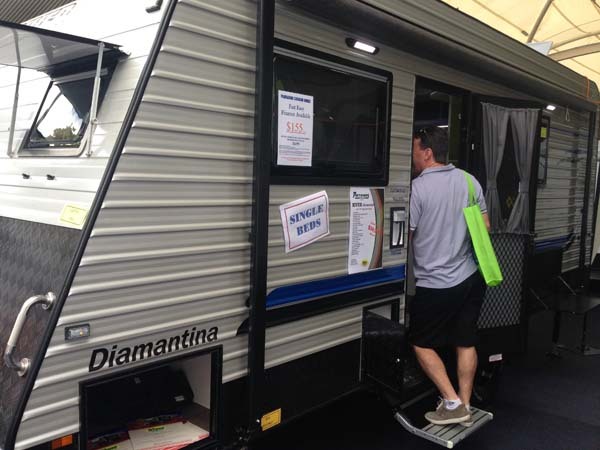 But those looking to spend a little bit less often feel their options are limited. 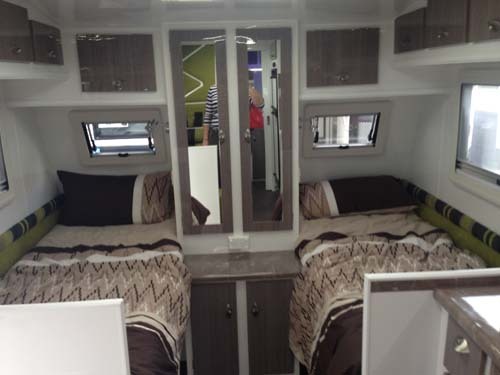 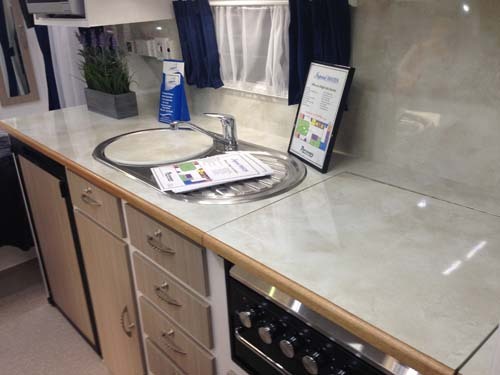 So, with this in mind, Caravan World visited the Sydney Caravan Supershow to find out exactly what’s available at the lower end of the market. 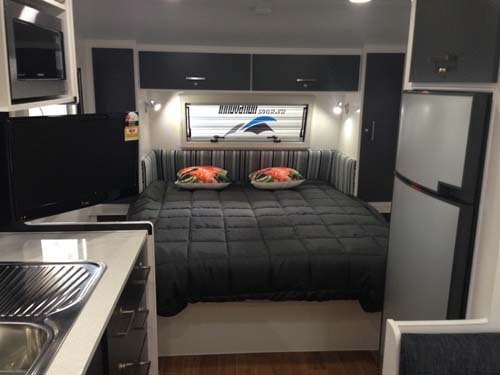 This list is by no means exclusive, and there are many others out there, but it gives a good indication of the variety of vans available under, or around, $50,000. 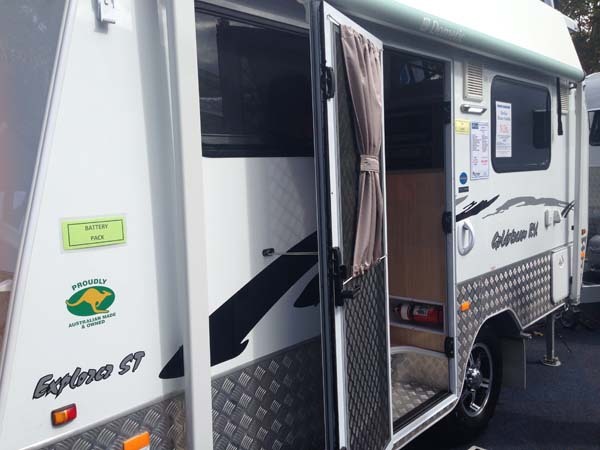 It includes single and tandem-axle vans, on and offroad varieties, vans for couples and for families and those which can be towed by the family car, as well as larger tow vehicles, so there really is something for everyone. 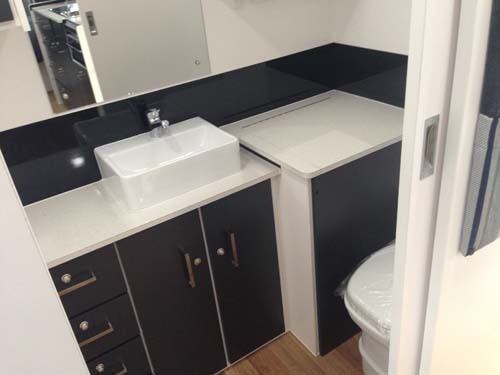 This 5.2m internal van has a proven front-bedroom/full-width rear bathroom layout with a café-style dinette and centre entry-door. 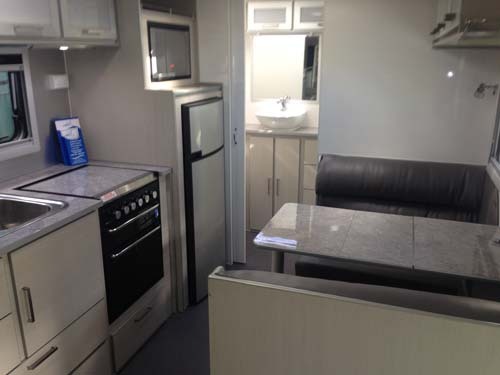 The interior has a modern colour scheme with white cabinetry, pale grey benchtops and touches of taupe. 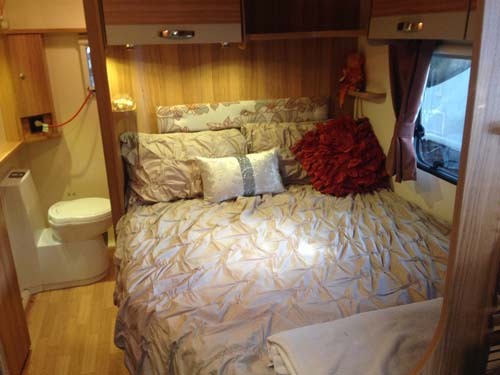 This 18ft 6in (internal) van has a tare weight of 1800kg, front single beds (optional), a full-width rear bathroom and is rated for semi-offroad use. 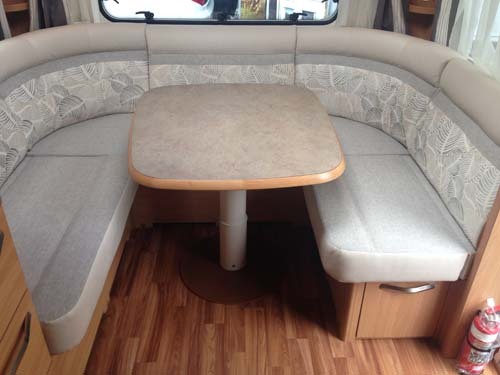 The contemporary colour scheme is complemented by patterned upholstery and a warm, timber-look floor. 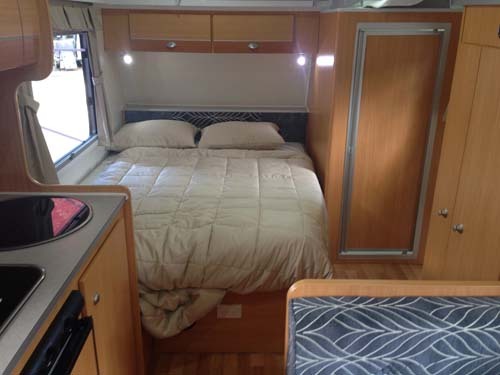 This 17ft (internal) van can sleep the whole family with a front bed and rear bunks set-up. 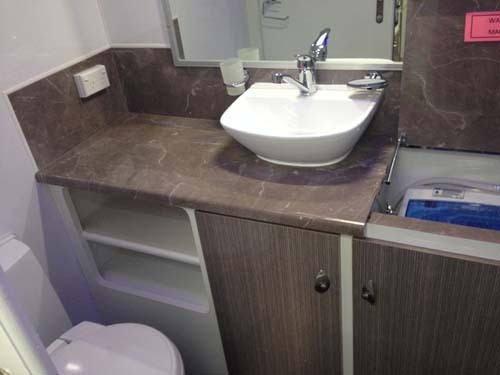 It also has a combo corner bathroom. 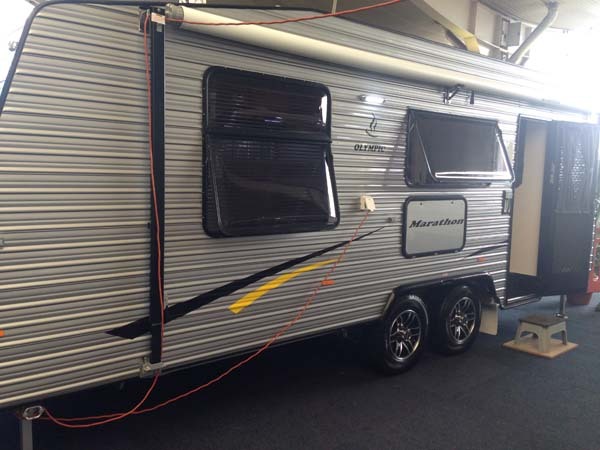 We’ve taken the liberty of including this van here, even though it exceeds the limit by $990 because the Golf Savannah really offers great value for money. 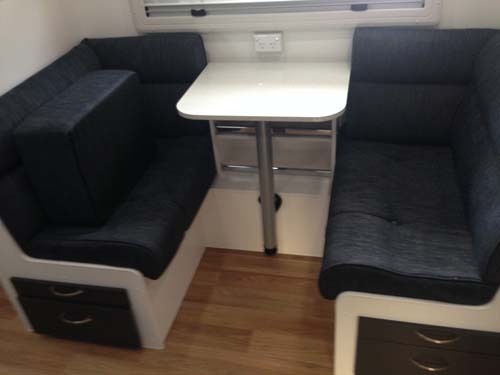 This little pop-top comes with a full offroad warranty and a dinette which converts into a second bed. 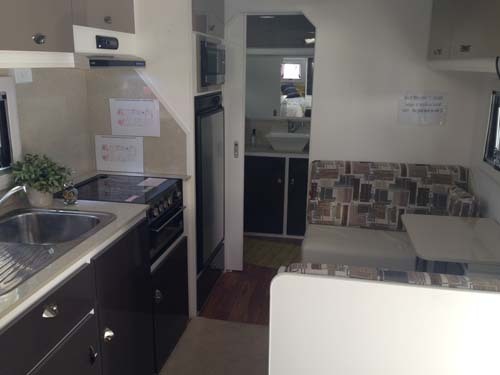 It also has a full second kitchen outside. 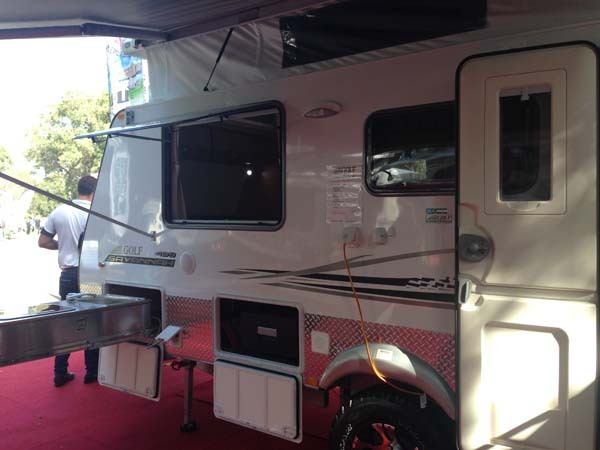 This little pop-top comes with a basic offroad pack and weighs in at 1420kg tare. 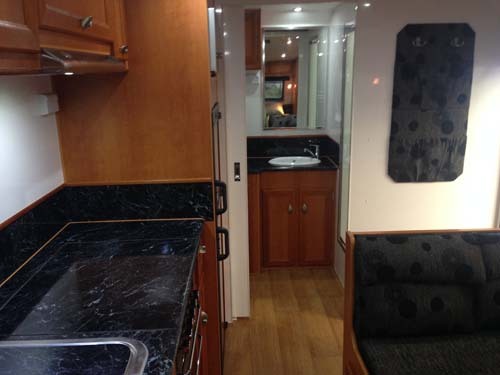 It has a front bed and rear cafe-style dinette. 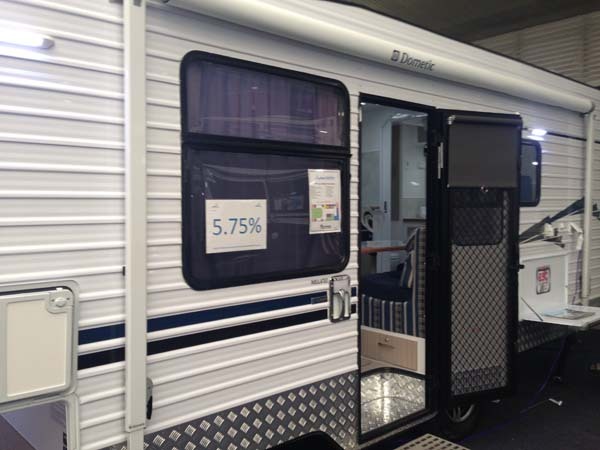 Part of the new range by A’van, the German-designed Knaus Sudwind has clean, European lines and styling. 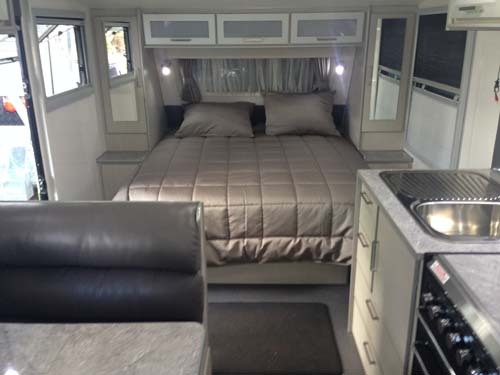 Inside, it has a fabulous rear club lounge, front corner bed and combo bathroom. 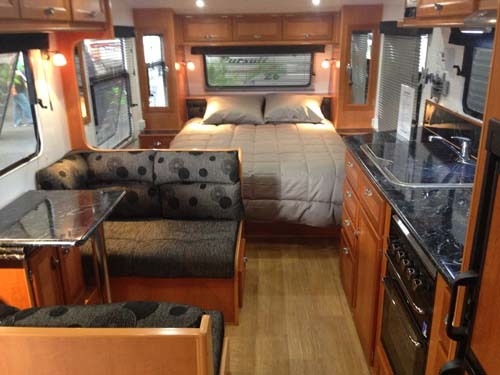 This van is in the minority as one of the few twin-axle vans in this price bracket. 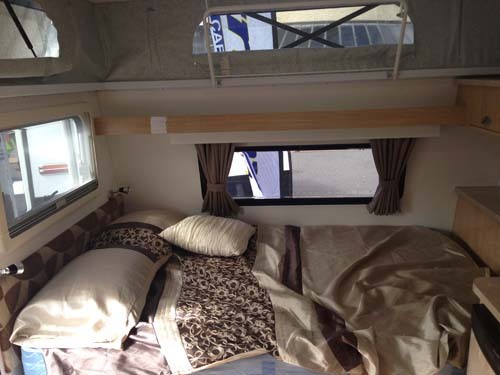 It’s 21ft long, offering a lot of van for your money. 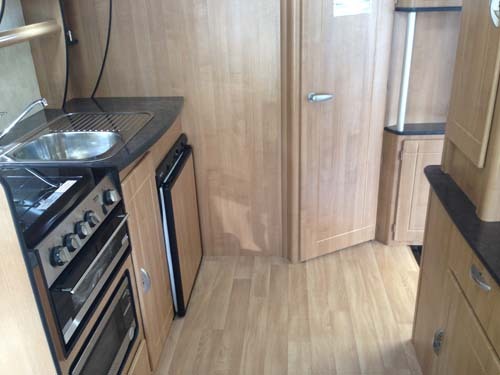 It has a rear entry door, front bed, nearside café-style dinette, offside kitchen and full-width rear bathroom. 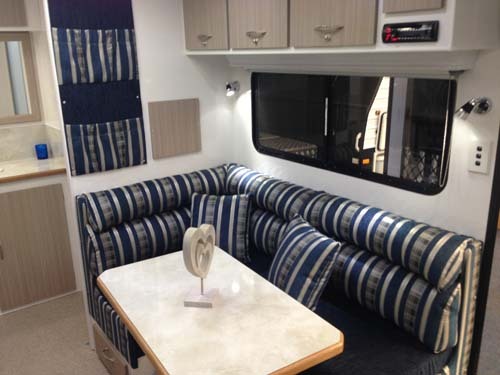 Its interior colour scheme is classic and classy with high gloss black granite-look benchtops, warm timber cabinetry and two-tone black and grey upholstery. 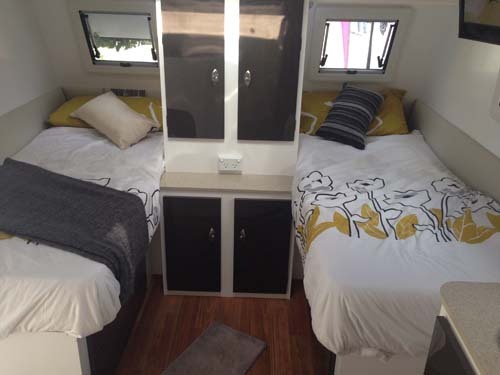 These vans, with their South African origins, always feel a little different to the rest of the crowd. 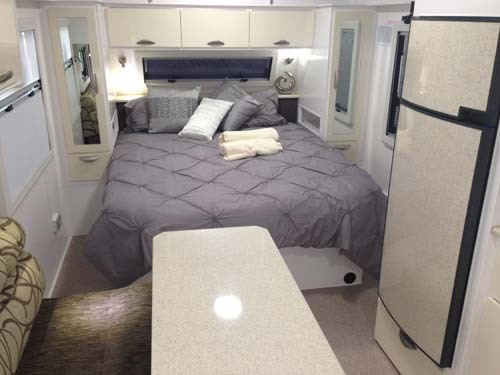 The Sungazer has front sideways-facing lounges which drop down to form the main bed, as well as a full-width rear bathroom and offside kitchen. 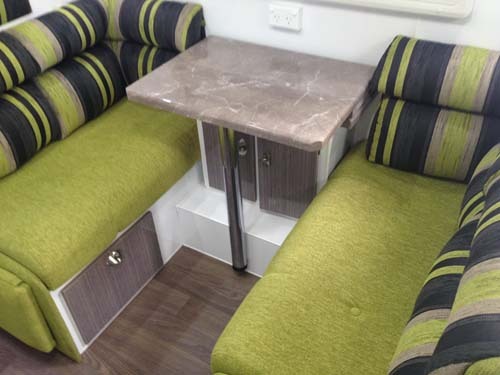 The interior is predominantly timber and timber-look décor. 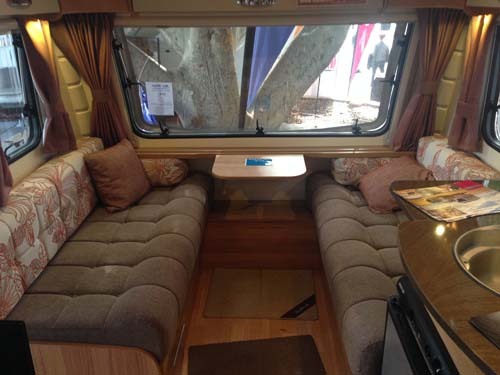 Several other vans in the Jurgens line-up are also worth looking at in the ‘under $50,000’ price category, including the Skygazer ($49,990) and the Jindabyne ($32,990). 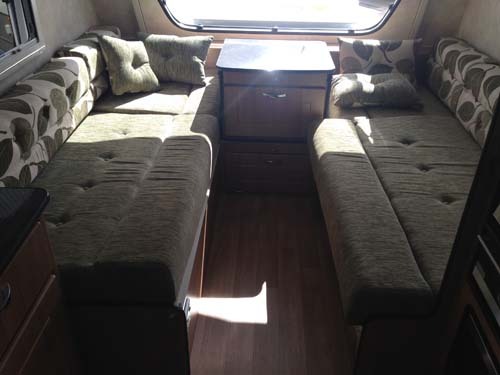 With classic European styling and the iconic Bailey front lounges which convert into a second bed, the Pursuit offers sleeping quarters for four people and seating for even more. 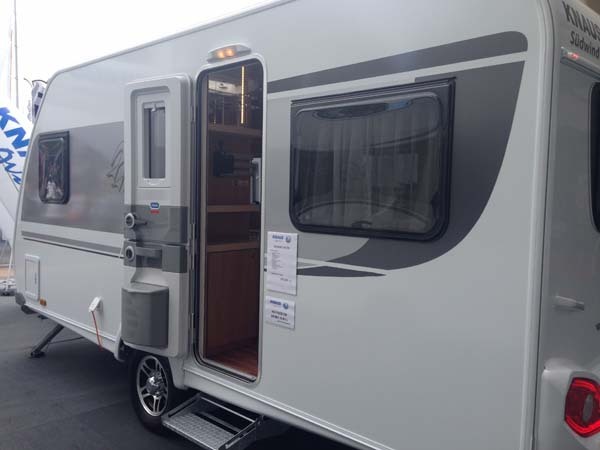 It has a rear corner bed, rear offside bathroom and a tare weight of just 1280kg. 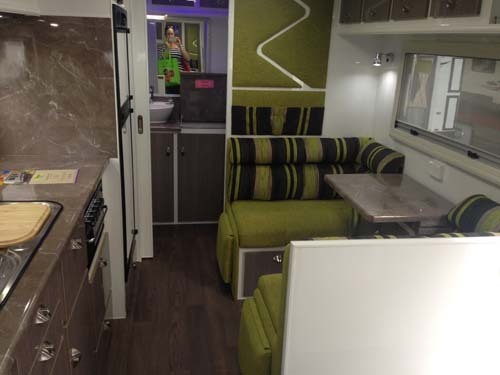 This single-axle van has a striking and very modern interior colour scheme with bright splashes of green. 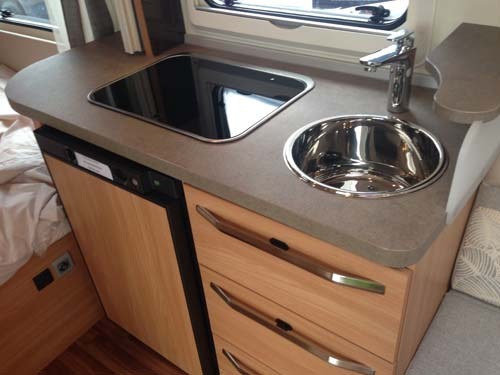 It has front single beds, a nearside café-style dinette and full-width rear bathroom. 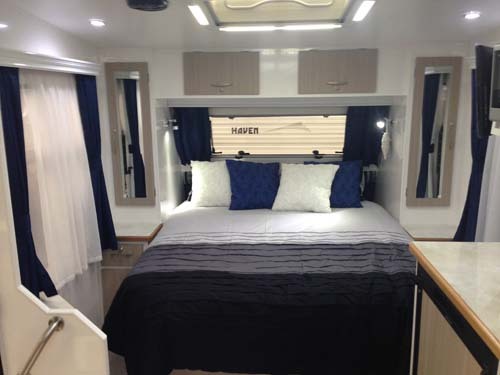 This single-axle van has a cool, calming and very inviting interior, decked out with lots of white, complemented by splashes of navy blue and plenty of natural light. 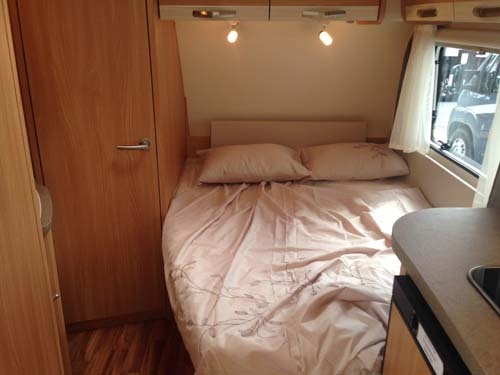 It has a front bedroom, nearside L-shaped dinette, offside kitchen and rear bathroom. 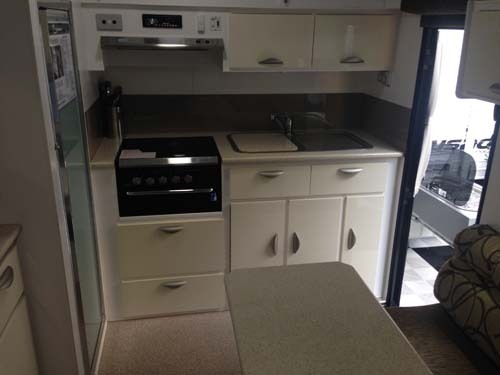 The kitchen has heaps of extra benchtop space, making food preparation a breeze. 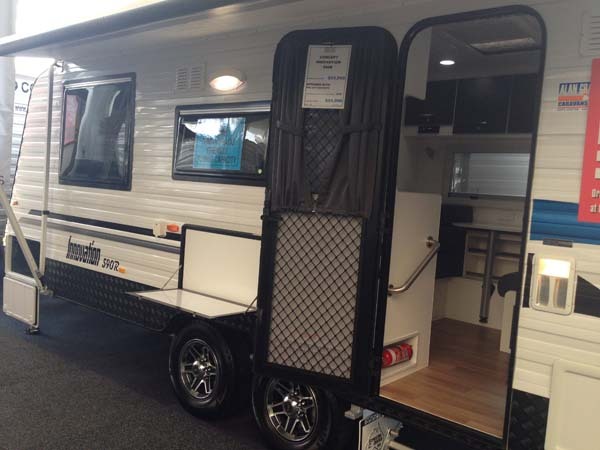 This tandem-axle, rear-entry van (that’s where the ‘R’ comes from) has a tare weight of 2100kg, putting it in the Toyota Prado towing range. 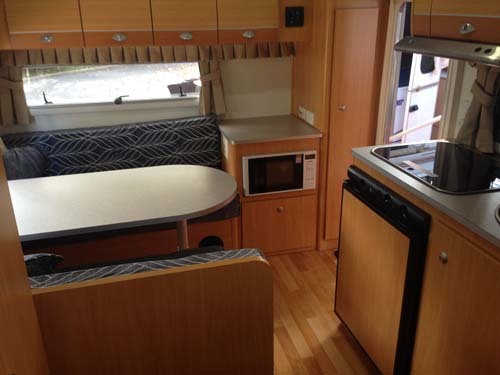 It has the classic front bedroom/rear bathroom layout, complemented by an offside café-style dinette and nearside kitchen. 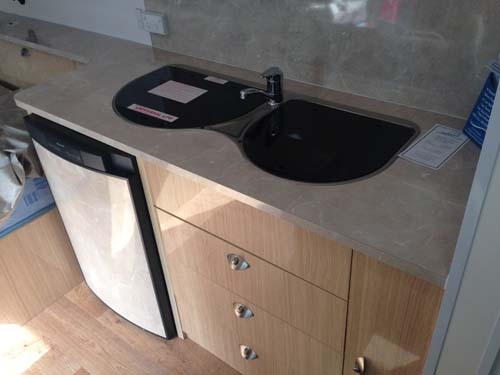 Interior styling is monochromatic with dark cabinetry and fresh, white benchtops and tabletops. 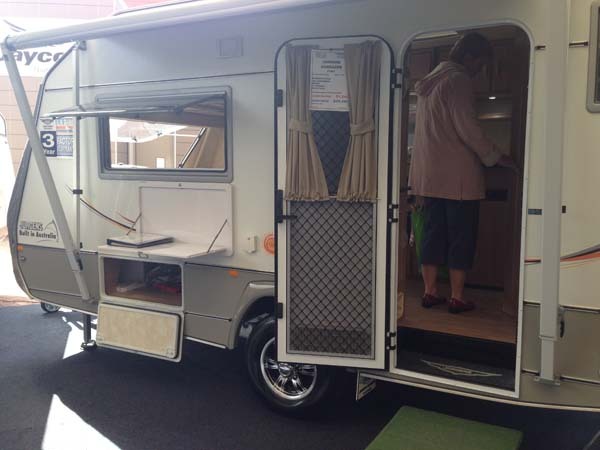 This pop-top, with a tare weight of 1940kg, has a front bedroom, with the kitchen across the rear and offside. 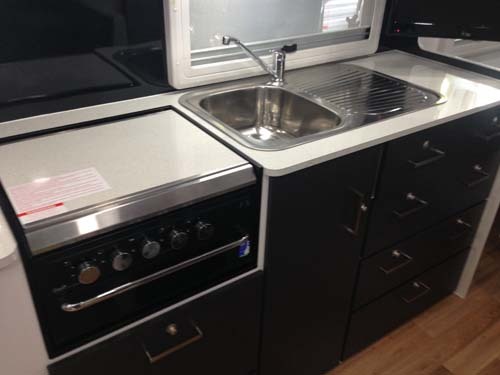 The four-burner cooktop/grill, plus the sink are across the rear, while the fridge, microwave and some more benchtop space are in the rear offside corner. 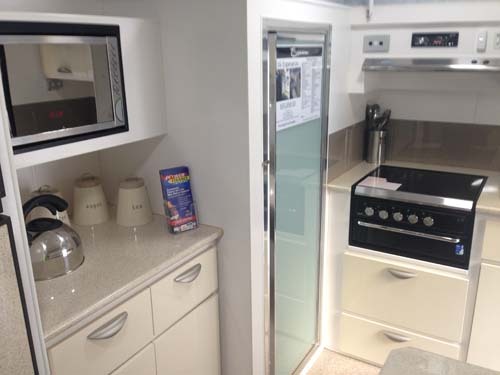 The interior is fresh and contemporary with light colours to improve the perception of space.